Land and business owners in Broome County, New York filed a lawsuit to lift a two-year ban on oil and gas drilling. They would like to benefit from the creation of jobs and prosperity. So would the members of two landowners’ coalitions representing over 1300 families who own a combined 31,000 acres. Lifting the ban would restore their right as property owners to develop their land as they see fit. Meanwhile, in what could only be described as a comedy of errors, a North Carolina Democratic senator accidentally voted in favor of a bill which would begin the process of allowing hydraulic fracturing to occur by as early as 2014 . Representative Carney’s inability to pick between a red or green button has the benefit of allowing North Carolinians the opportunity to utilize an advanced technology developed and fined-tuned over the past 60 years by brilliant scientists and engineers. It is a technology now revolutionizing oil and gas production. In North Dakota, a state with a 3% unemployment rate, the labor shortage is so great that businesses are now employing international students here on four-month work and travel visas. While many states have from 6-10% unemployment rates and are eagerly looking for government bail-outs and stimulus packages, North Dakota has benefited from the ultimate stimulus, high degrees of economic freedom. Unfortunately but unsurprisingly, the State Department is now “looking into” this situation. U.S. business owners, desperate for employees, should be allowed to employ these willing people. Although hydraulic fracturing has been around for over 60 years, as evident from the articles above, some people are just now hearing about it, and some of them want it stopped. It’s become a loud and public conflict. The safety of ground water is purportedly the main concern. These entrenched pressure groups are wielding the power of government to enact wide-spread bans, moratoriums and costly legislation, which is destroying jobs and raising energy costs. To understand how big a threat these anti-fracturing groups are, we need to understand the magnitude of the role that hydraulic fracturing plays in U.S. energy production. 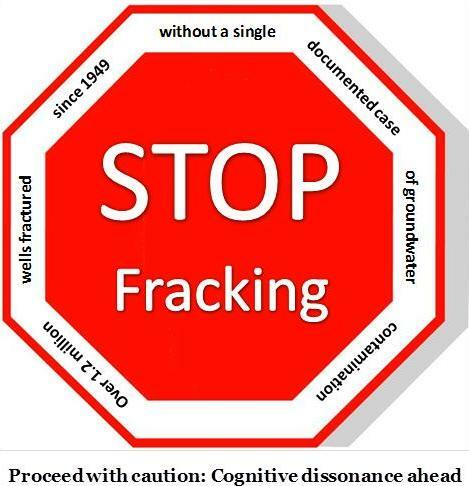 The uninformed hold signs that say “Stop Fracking,” yet few have an answer for the fact that 1.2 million hydraulically fractured wells have not yielded a single documented case of well water contamination. This is not information from an oil and gas sector annual report. This is the opinion among the regulators who oversee the industry. Not one contaminated aquifer. Propaganda pieces like the oft-quoted “Gasland” have protesters screeching falsehoods. Reality, apparently, cannot dissuade them to leave behind their hatred of the oil industry and fear of technology. But it’s important for the rest of us to understand what a ban would look like. Historically the primary role of hydraulic fracturing was to open up tiny fractures in vertical gas wells liberating volumes of gas that would not flow otherwise. The other main use of the technology was to re-complete wells which were old and dying, stimulating them by opening new fractures within the rock and bypassing any damaged areas that inhibited flow. The National Petroleum Council estimates that 60-80% of U.S. wells will need to be re-fractured to re-invigorate them to economic levels. Let’s think about that for a second, roughly 60% of U.S. total energy consumption is from oil and gas. Energy is the fundamental resource necessary for human life. In order for humans to live, they must act to bring values into their life. In order to act and produce values they must have energy. Hydraulic fracturing re-invigorates from 60-80% of the wells that produce this energy for us. Without it, these wells would die, just like without energy to convert into production, humans die. This 60-year-old technology is now causing headlines because it has been used for yet another life-giving use. It no longer primarily restores life to dying wells but–with selective application within horizontal well bores–has now made previously unproductive, dead formations bear an enormous amount of energy. Historically, tight rocks and shales could not be made to yield hydrocarbons; however, recent advancements in hydraulic fracturing has turned these barren formations into world class oil reservoirs like the Eagle Ford Shale. How much of the total U.S. oil and gas resource is completely inaccessible without this technology? According to the American Petroleum Institute, 30% of U.S. oil and gas reserves are accessible only via hydraulic fracturing. This enormous amount of life supporting energy, feedstock for fertilizers, plastics, synthetics, disinfectants, and the myriad of petrochemical products would all be made more rare and expensive by the stroke of the legislative pen. It is estimated that 95% of recent oil and gas wells are hydraulically fractured. This is how critical this technology is to the industry, and by extension to every living person. The economic cost of banning hydraulic fracturing would be more than debilitating to the U.S. and to the world. Energy is the fundamental material driver of civilization, and to handicap people by removing their means of accessing it would be crippling. 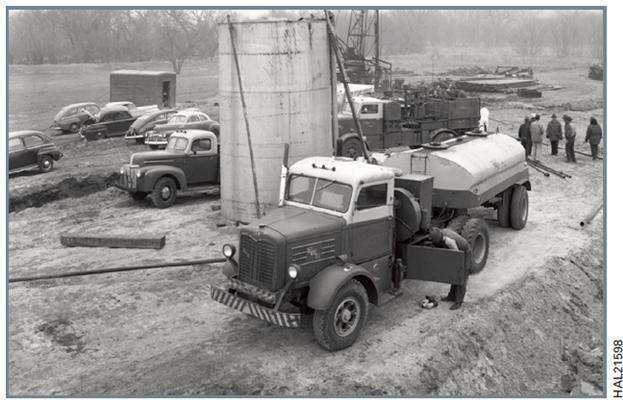 The photo above shows the site of the first commercial hydraulic fracture in 1949, with an experimental frac job happening even earlier, in 1947. Two million separate simulations later—executed while maintaining ground water purity—the technology has proven itself. Individuals who have labored their entire lives to master the higher mathematics, physics, geology, chemistry and related sciences are on hand to explain how and why it works. Yet politicians, lobbyists and laypeople propose a ban on technology they expend no effort to understand. Based on what criteria then, do they ask that it be “evaluated” and “better understood”? Evidently, politicians will decide whether to permit its future use based on considerations of their political ambitions or ideology. Science will not be the method of their decision-making. Perhaps this suggests one reason why the oil and gas industry has not defended itself as rigorously as it could. With science on their side—sixty years of research and results, plus a graphic scenario of just how much the end of fracturing would cripple all of us who rely on energy to live—those in the know cannot imagine an out-right ban of something so vital. Let’s imagine how this must sound to an engineer who has spent an entire career fracturing wells around the county she lives in. She has raised her children in the area, irrigated her land, nourished her animals and loved ones with well water sourced from this same land. For an entire career, her hours of mental and physical exertions have gone into using fracturing to produce oil and gas, which every person has used to benefit their lives. People who light, heat and cool their homes, drive their kids to school, grow food with petroleum-based fertilizers, till with diesel powered tractors, and fly around the world all use the energy she helped to produce. But instead of being hailed as someone who has lived virtuously by producing all of this good, she is vilified and accused of being a despoiler of the earth. She’s contemptuously discounted as being “Big Oil.” To her this would sound like the most absurd and vicious slander; is it any wonder she does not speak out against it? How exhausting would it be to produce energy for people by day, and then defend your work to them at night? Thankfully, fracturing engineers choose to continue their work producing energy for everyone who uses it, regardless of whether those who live off their production are grateful or not. This technology is integral to the energy industry. To not understand just how integral yet demand the banning of it, is as unreasonable as removing the hammer from the carpenter’s hand. We remove hydraulic fracturing from the energy picture at our peril.